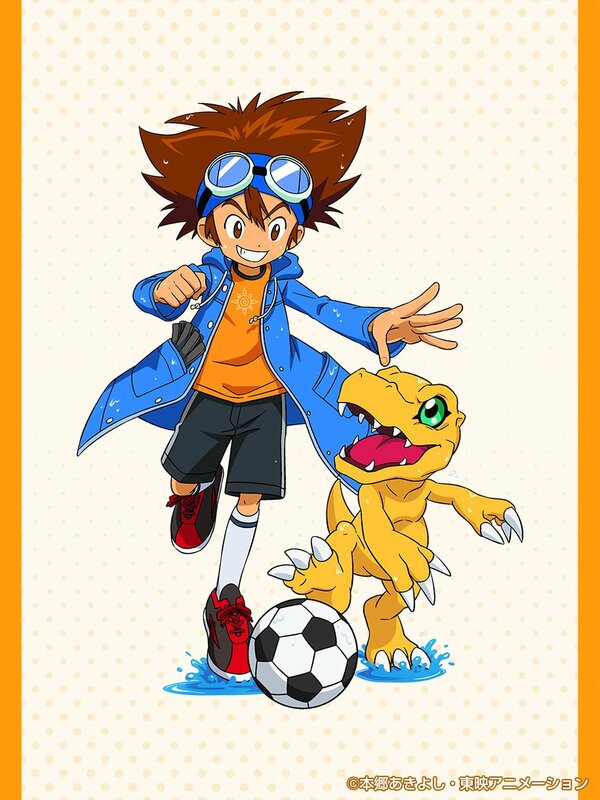 New Digimon Adventure 20th Anniversary related announcements continue! Sunstar Stationery has announced they will be making a line of Digimon Adventure 20th Anniversary products. The stationery products will feature new artwork with the theme of 'Rainy Days'. They're going to release the illustrations a few at a time rather than all at once, and the actual products will be announced later. 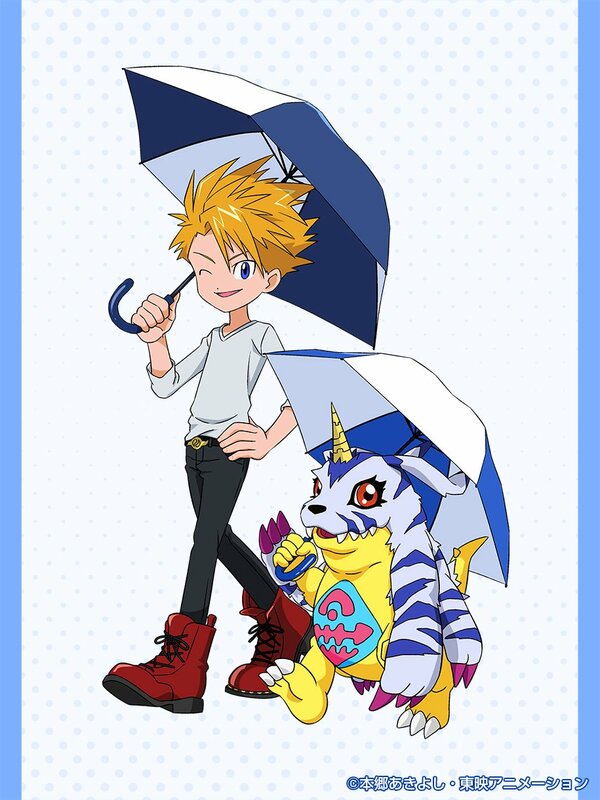 For now they are showing off Taichi running around with Agumon playing soccer in the rain, along with 'cool and determined looking' Yamato and Gabumon with their umbrellas. Thanks to shin for translations! Why only Tai and Matt? What about the other six kids? Well this is fun looking. I wonder how the others will look. Tai looks cool. Kind of a Tri looking Agumon. Matt and Gabumon look weirdly fabulous. I really like these—especially how they’ve been able to incorporate their crest designs into the chosen childrens’ clothes.